Law and order dominates. Inevitably for policy makers, they are now drafting laws after realizing Bitcoin and cryptocurrencies are here to stay. Regulators in Japan, South Korea and Thailand were the first to pick up early signals but now, the wave is sweeping across Europe. 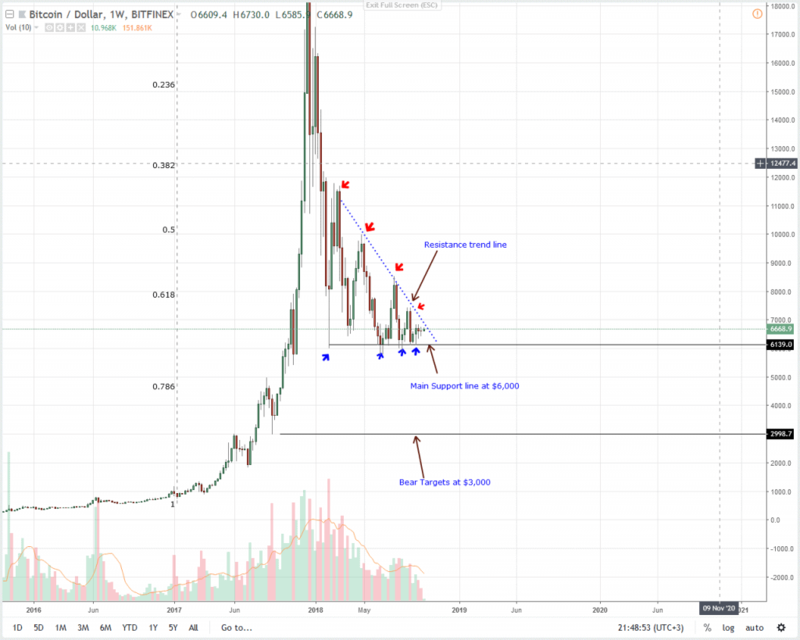 Overly this is good and could help drive Bitcoin and altcoins from 2018 lows. In a technology that is still trying to find its footing, regulators are stamping their authority. They always do. After all, the only way of riding bad elements from the crypto is adoption of laws that are effective but that not stifling to innovation. Though some regulators took their time to synthesis the effects of cryptocurrencies and blockchain technology before devising fitting laws, the effect is all the same: governments are now aligning with FSB and Mark Carney previous statements. At the G20 meeting early this year, Mark Carney the Governor of the Bank of England and chair of the Financial Stability Board (FSB) said cryptocurrencies aren’t a threat to adopting economies. Instead, acceptance like in Malta is a revenue stream. Therefore, it’s inevitable that embracing policies should be tailored to fit the needs of a technology that most economies are bullish on. In that line therefore, Norway through the country’s main regulator the Financial Supervisory Authority (FSA) is forwarding a directive mandating all virtual currency exchanges and crypto custodians to incorporate anti-money laundering measures in their operations. But, it should be noted that this rule applies to those that deal with crypto-to-fiat pairs and not crypto-to-crypto pairs. Technically, laws as this pave the way for institutional involvement which in turn shall increase liquidity driving coin prices to new levels. From the weekly chart it’s visible that prices are stable and ranging. In the last week, Bitcoin is up roughly two percent but everything else from last week’s Bitcoin price analysis is constant. First, prices are still in range mode and oscillating within week ending Sep 23 near the apex of our trading wedge. Secondly, bulls seem to have an upper hand judging from price action of the last two weeks. For example, by last week close, bulls did end up with a long lower wick. This signals presence of buyer rejecting bears in lower time frames. Furthermore, subsequent lower lows have been closing higher since the high volume bar of week ending Sep 23. 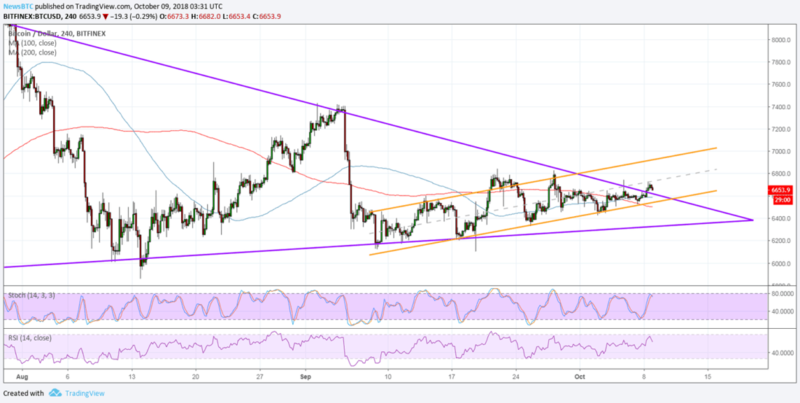 Nonetheless, even if the optimism is high thanks to a combination of favorable technical alignment and fundamentals, Bitcoin bulls need to close above $7,200. This level is a key resistance level above the main resistance trend line and Sep highs. Rallies past this price tag will no doubt ignite the next wave of bulls. As such, we expect Bitcoin to end the year on a high. Here, it’s clear that buyers are in control. They are printing higher above the main support trend line of the last three months. Nonetheless, we are neutral expecting prices to rally above $7,200. In the meantime, risk-off traders can begin loading up after yesterday’s bull bar. There are no clear signals but the shift of sentiment of the last few weeks is supportive of price. Besides, miners are not breaking even. So, a tight stop at $6,400 is safe should sellers step in. Consequently, first targets are at $7,200 and later $8,500. 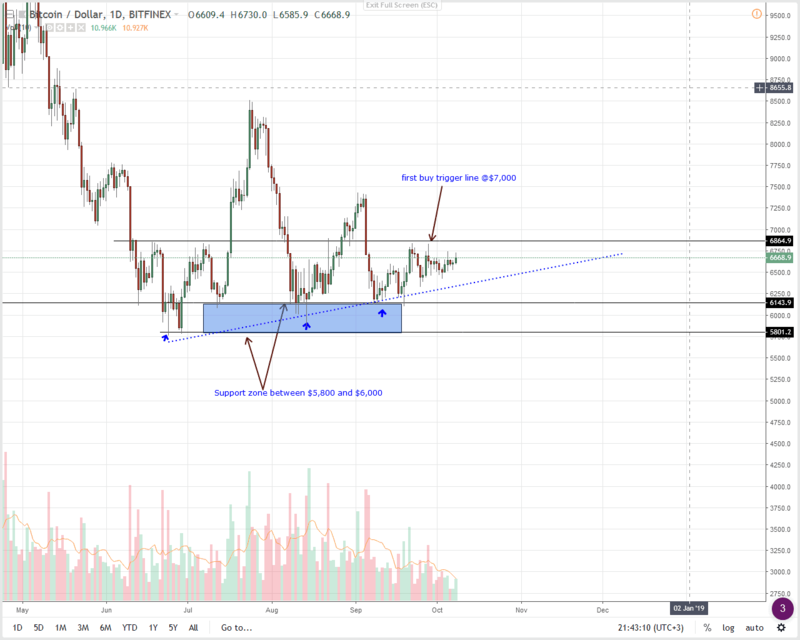 The post Bitcoin Price Analysis: BTC Accumulates, Bull Break-Out Likely appeared first on NewsBTC.